More posts soon to come, folks. It’s just been a really busy few weeks followed by my Birthday this sunday. 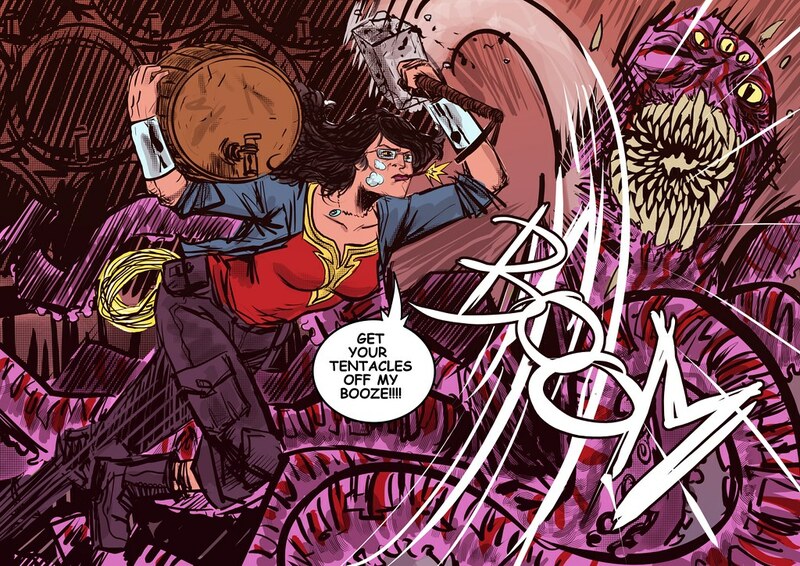 So until then, enjoy this BEAUTIFUL picture by Emmanuel “Mojokingbee” Hernaez of me defending my precious ales from an evil Kraken. Click image to embiggen.